Rahul Dravid may not have been at his best with the bat against Australia so far but the right-hander would soon hit a purple patch, believes his former teammate Javagal Srinath. Having agreed to don the opener's role, Dravid virtually crawled in the first Test at Melbourne and though he redeemed some of the lost pride with a half century in the second Test at Sydney today, he hardly looked fluent. Srinath, however, believes 'The Wall' would soon be back in his elements. "I think whatever happened to him happens to every cricketer. Everyone goes through this phase in their career. As Anil (Kumble) said, it's all in the mind and he does not need to reinvent himself," said Srinath, who was here to launch 'Gatorade Pacers 2008', a talent hunt aimed at unearthing India's next pace sensation. "I think his defence is his core competence and while it has been frustrating for others to see him defending on and on, there was nothing unusual. And I also don't think he was under any kind of pressure from the media. Take it from me, he would never allow himself to be so." "Anyway, it's always better late than never and he has showed that he can deliver the goods." Srinath also lavished praise on VVS Laxman for leading India's fightback in the second Test with his fifth century against Australia. 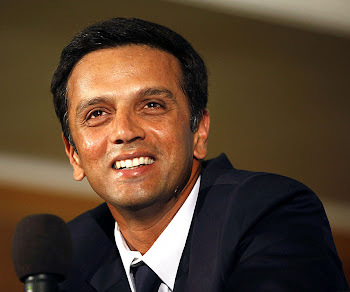 "He forged a good partnership with Dravid and displayed good all-round stroke-play. I think Sydney has become his happy hunting ground."